5.5 x 8.5 trade paperback. 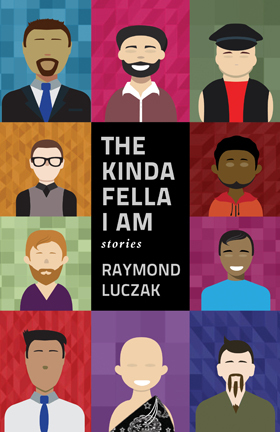 "I used to be the kinda fella who was expected to sit quietly in his wheelchair by the sidelines ..."
Through a variety of characters with disabilities, The Kinda Fella I Am explores the disabled queer male experience. Raymond Luczak, author of the award-winning novel Men with Their Hands, goes boldly into bedrooms and other places where most able-bodied men fear to tread. Copyright © 2018 by Raymond Luczak. All rights reserved.